How to Go Out in Style! Today, we have gone beyond finding a casket “fancy”. 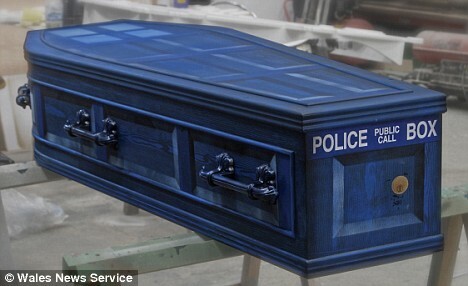 Novelty caskets are becoming increasingly popular. People are being buried in cell phones, cars, and fish! With this trend, most people design their coffin before death (some many years before death) in order to make sure that it will suit their personality. Biodegradable coffins, called ecopods, are also on the rise! These coffins are created for “green” cemeteries where decomposition is natural. They can be customized and look (generally) like a “normal” casket and will withstand all of the proceedings of a funeral. And don’t forget the “do-it-yourself” coffin! Kits are now being made with pre-cut pieces so that you can turn making your coffin into a weekend craft! Paint it however you like (just make sure that it’s sturdy…otherwise things could end up badly…). These kits will not only save you money, but also make for a pretty interesting experience. These coffins can be made by the most typical coffin-makers on request. If you don’t know your local coffin-maker (chances are you don’t) then order online! Just make sure that you check out the shipping first…that price might be enough to make you need the coffin sooner than you expected.